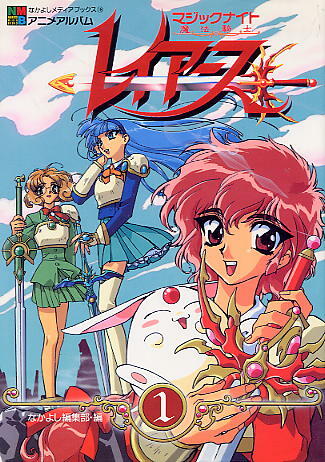 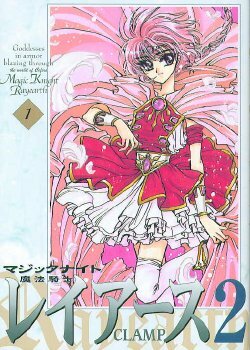 Magic Knight Rayearth was first serialized in the girls’ magazine Nakayoshi from Nov 1993 to Feb 1995. 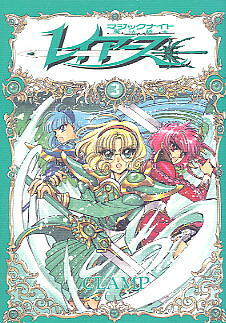 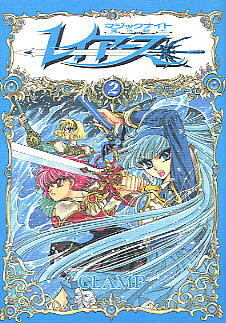 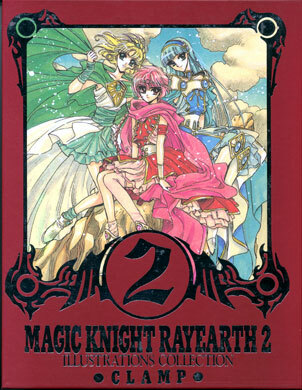 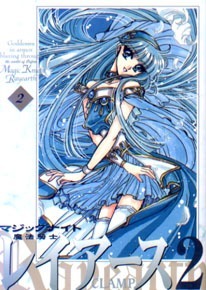 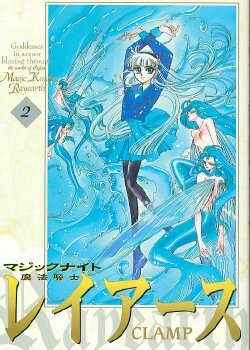 A sequel titled Magic Knight Rayearth 2 was serialized from Mar 1995 to Apr 1996. 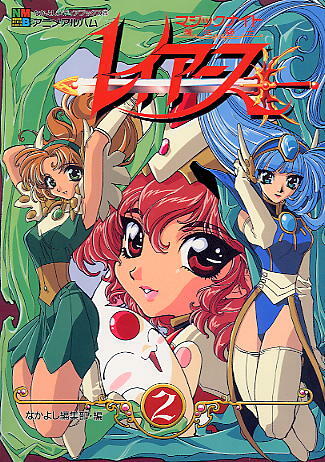 The individual chapters were subsequently collected into six bound volumes (tankoubon). 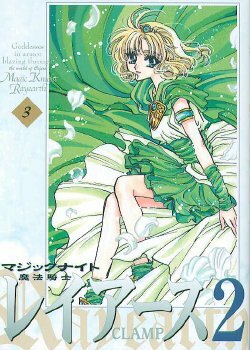 Each volume featured bonus color pages, a bonus mini-manga from CLAMP, and character profiles in the back. 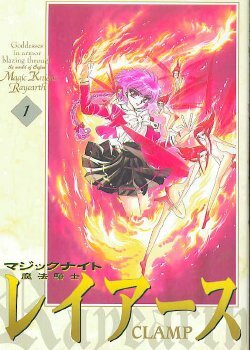 The manga was republished in shinsoban (“new edition”) volumes with new cover art from 2002 to 2003. 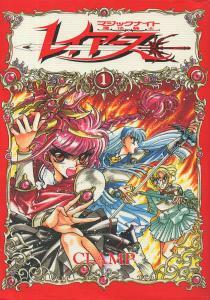 These editions are smaller than the original tankoubon and do not include the bonus material. 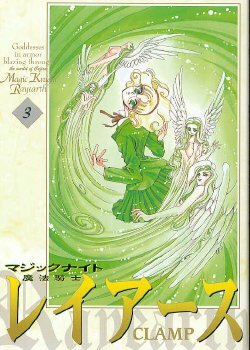 Hardcover manga artbook featuring all-colour illustrations by CLAMP. 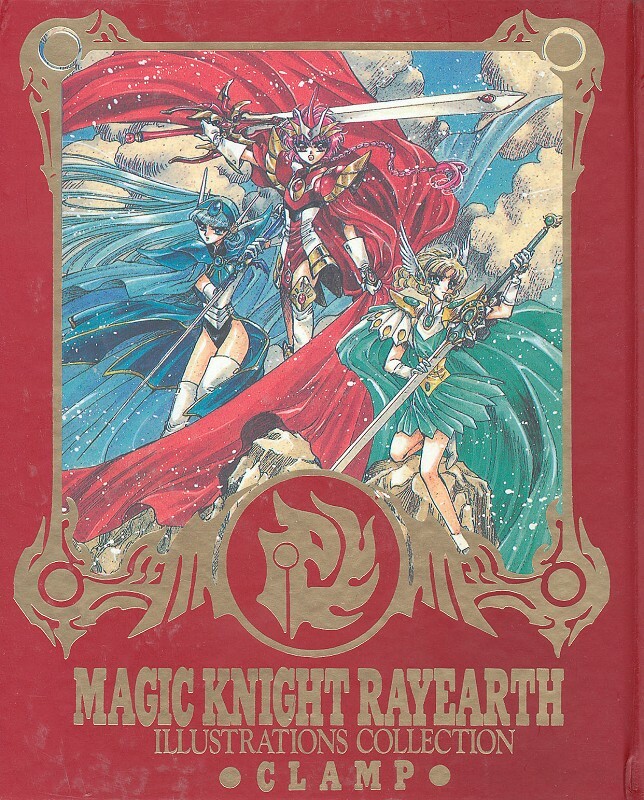 Lettering on cover is gold embossed. 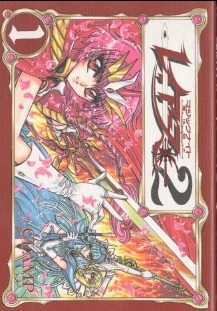 Softcover book containing CLAMP’s design sketches for the manga. 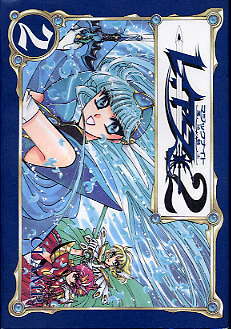 About one half is colour character designs, one quarter is black & white sketches/storyboards, and last quarter is a 25-page bonus manga. 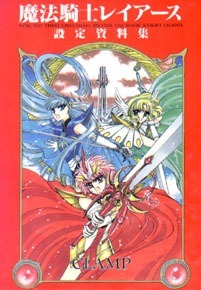 Film script books for the anime published in 1995. 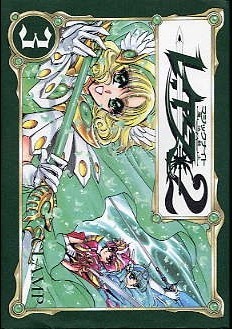 First 4 pages of each book are in color.